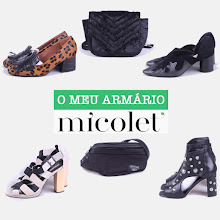 Os meus looks de fim de semana incluem quase sempre sapatos confortáveis, que em 90% das vezes acabam por ser ténis. Estas fotografias foram tiradas no Domingo, num dos tipicos passeios com o Chuck. Acho esta saia perfeita para o Outono/Inverno (estou ansiosa por a usar com uns botins) e é o equilibrio perfeito para que o look não fique demasiado monótono e para dar um bocado de cor. Não se esqueçam, últimos dias para participar no grande giveaway de 120$ da Shein! Vejam tudo aqui! Beijinhos! My weekend looks always include comfortable shoes, in 90% of the cases it turns out to be sneakers. These photos were taken last Sunday, in one of the typical walks with Chuck. I think this skirt is perfect for autumn/winter (I'm eager to use it with boots) and I think it's the perfect balance so that the look doesn't become too monotonous and it gives a little bit of color to it. Don't forget, last days to enter Shein's giveaway where you can win 120$ to spend on the site! See it all here! Lots of kisses! Very nice outfit :) Love your skirt!